Everyone at the practice and all his patients have many reasons they consider Dr. Ron Israeli a top doctor and consummate professional, and now we have one more reason. 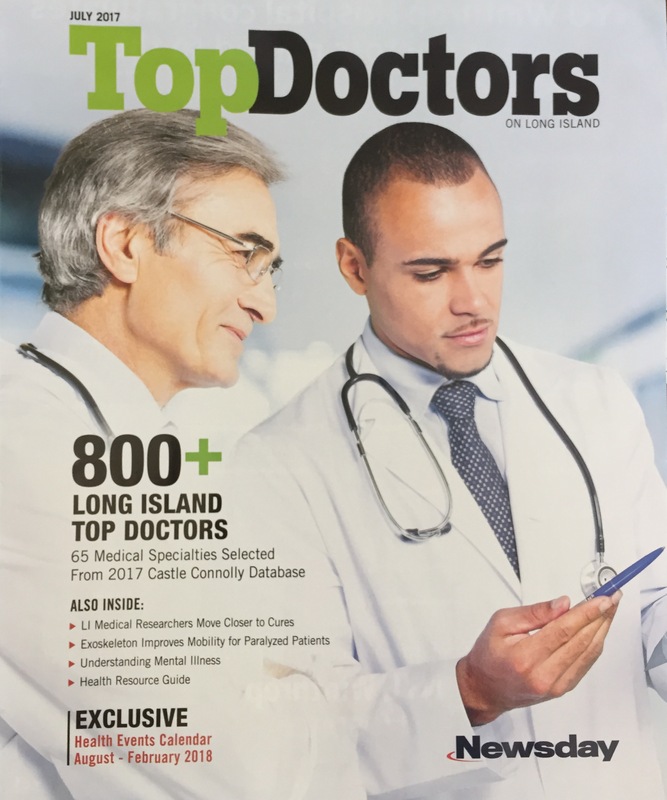 Congratulations to Dr. Israeli on being named as one of the Top Doctors on Long Island and Top Doctors in the New York Metro Area for 2017. Continuing impressive streaks, Dr. Israeli has been named to Newsday’s Top Doctors on Long Island nine out of the last 10 years and Top Doctors New York Metro Area the last eight consecutive years. The Top Doctor listings are selected from the 2017 Castle Connolly database. Dr. Israeli is listed in the plastic surgery medical specialty. The doctors included in Castle Connolly's Top Doctors are selected after peer nominations, extensive research and careful review and screening by a doctor-directed research team. Physicians do not and cannot pay to be a Castle Connolly Top Doctor. Regional Top Doctors are among the top 10-15% of physicians within their geographical region, as identified by our annual nationwide nomination survey, and are physician leaders within their communities and metropolitan areas. Dr. Israeli, a founding partner of Aesthetic Plastic Surgery, PC, is a board-certified plastic surgeon practicing in Long Island, New York since 1997. Dr. Israeli is certified by the American Board of Plastic Surgery and specializes in microsurgery, post-mastectomy breast reconstruction as well as cosmetic surgery of the breast and body.